Come join the adventure of this year’s 2019 Whiskey Off-Road Mountain Bike Race and Festival. Enjoy free live music, beer garden, great local restaurants, and lots of fun for all ages. In 2018, there were a combined 1792 riders in the 15, 30, and 50-mile races and 288 participants in the Kid’s Fun Race. The Four Peaks Brewing Company Beer Garden and the Whiskey 15 Proof fun race both start at the courthouse square on Friday April 26th at 2 pm. This 19-mile ride kicks off this exciting 3 days of racing. Starting at 5:15 pm, don’t miss the El Yucateco Pro Fat Tire Crits race which in human speak is a high speed one-mile circuit mountain bike race on the streets near the courthouse square. 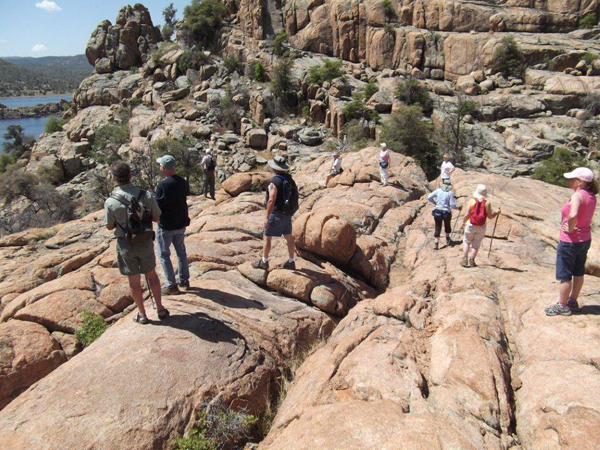 Bring your RV and camp amongst the majestic Granite Dells boulders of Prescott at the Point of Rocks RV Campground. 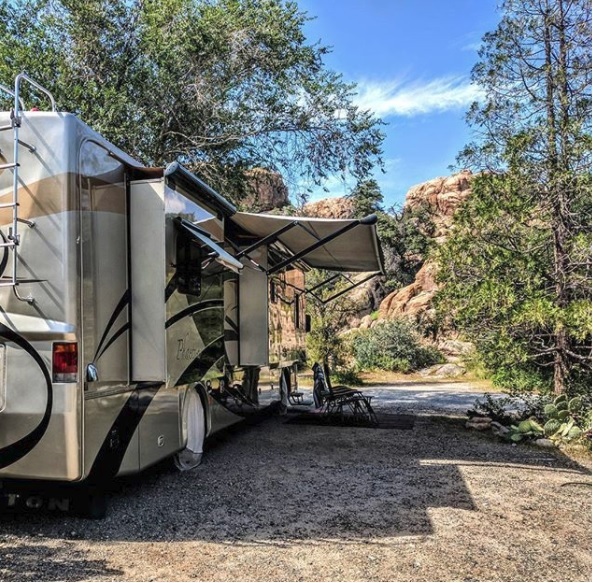 Located next door to Watson Lake Park, Point of Rocks RV Campground is just 5 miles from downtown Prescott the epicenter of the Whiskey Off-Road Mountain Bike Race event. Make your reservation now to secure your site in our very popular campground by calling 928-445-9018 or via our reservation inquiry. The 50 Proof Backcountry Ride starts at 7:30 am in downtown Prescott on Whiskey Row. This 48-mile race is sure to tucker out even the best riders. 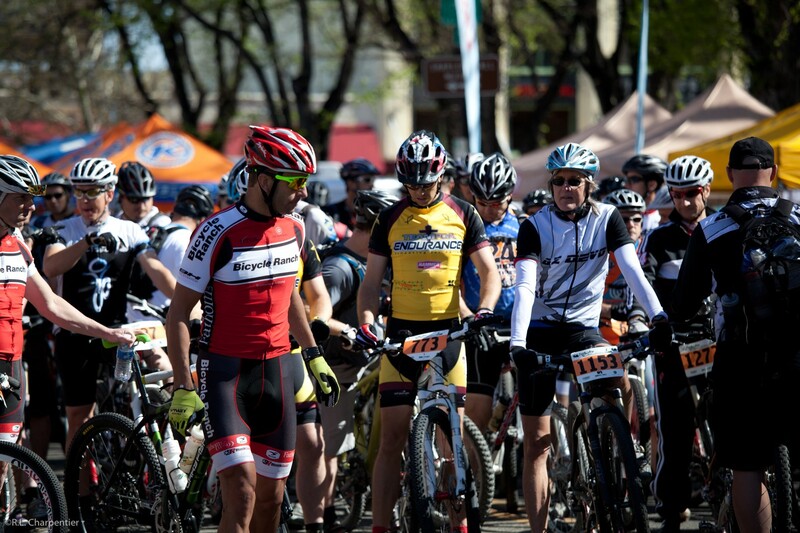 The 30 Proof Backcountry Ride starts at 9:00 am in downtown Prescott on Whiskey Row. This 30-mile race is quite a challenge. Four Peaks Brewing Co. Beer Garden opens at 10 am and runs until 8 pm. The Pro Backcountry Race starts at 8:30 am in downtown Prescott on Whiskey Row. The Kids’ Fun Ride starts at 9:00 am in downtown Prescott on Whiskey Row. Four Peaks Brewing Co. Beer Garden runs from 10 am until 2 pm. Spectators: Want to watch and cheer on the mountain bikers on the course? Spectator Directions and details can be found here. Foodies and families alike will enjoy all the great restaurant options that downtown Prescott has to offer. All within walking distance. Want to get away from the activities for your own biking or hiking? Prescott’s enormous system of trails has something for all skill levels. Stop by our Point of Rocks RV Campground office for a free City of Prescott Trails and Outdoor Recreation Map. Make your reservation now to secure your RV campsite in our very popular campground by calling 928-445-9018 or via our reservation inquiry.